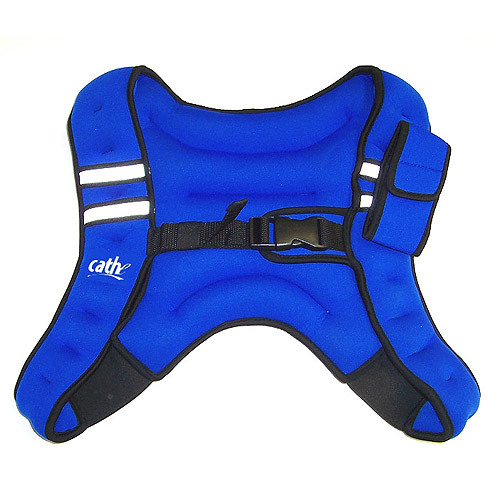 This vest is perfect for anyone who is looking for a little resistance. It is very versatile and can be used while playing sports… that’s what I use it for. There are heavier vests out there but they’re all full bodied ones, and only good for walking or while weight lifting. The build of this vest is similar to those of ankle and wrist weights but it goes on your back so you can’t accidentally over extend any of your extremities. Its a little over priced ($30) but works great. Also, Wal-Mart now carries the new 12lb Gold’s GYM marketed version ($35), so if you are looking for a little more weight, check their shelves because its not sold online. Rating: 4.5/5, I deducted .5 off the rating for it’s high price. This entry was posted in Product Review and tagged weighted vest on January 21, 2009 by a8le. Well it has been a couple of years since I did any real System Administration work but if I were to have the duty of deploying multiple machines again… nLite would be the first piece of software I would turn to. It has saved me hours, virtually everything can be pre-configured before the OS is installed allowing an “unattended” install like no other. I did run into two errors that I would like to mention. 1) If you pre-configured the display options, ie your theme… it will not be the labeled “yourTheme” as desired, but it’ll be “nLiteTheme”. And it could possible be all messed up as mine came out. And the problem wasn’t easy solved as setting the display to another theme. You actually have to go into the system folder and delete that “nLiteTheme” to fix the problem. 2) If you are installing the OS onto a machine that requires a 3rd party SCSI adapter (F6 Method), you might run into problems. For me, I kept getting an error saying that I was missing the required SCSI driver, but in fact the driver was installed. Needless to say, other than those two errors. This piece of software has same me much time. So if you’re looking for a stress-free install, give it a consideration. And there’s a Vista version… vLite.Oh, one more thing… they are both free! This entry was posted in Sys. Admin and tagged deployment, nlite, windows on January 16, 2009 by a8le. But there was no way to compare the two books. To my dismay this book was 20% about the universe’s exciting mysteries and 80% about the drama that we went through to uncover some of the universe’s mysteries. So if you are looking for a book about science, DO NOT READ THIS BOOK, it will be a waste of your time. Its all histrionic stories of our past struggles as a race. Review Thoughts: I give this book a 2/5 stars. Do not read it. *With that said if the book were titled differently… maybe: Historical Drama, tales of our ancestors; I would give it a 5/5. This entry was posted in Book Review and tagged everything, history on January 16, 2009 by a8le.